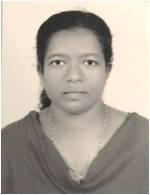 B. Arch (1994-1999) TKM College of Engineering, Kollam, worked in COSTFORD(2000-2001), M. Planning (housing) College of Engineering Trivandrum (2001-2003), Worked in MES School of Architecture( 2004-2009) as Lecturer and Senior Lecturer, Worked in DG College of Architecture as Course head and Assistant Professor. After completing PG joined MES College of Engineering in 2004 and worked till 2009.I had been the group tutor and thesis coordinator. I have guided several student theses and dissertations. Taught various subjects like architectural design, town planning, climatology, Building construction etc. In DG College of Architecture, I have been the course head as well as group tutor, training coordinator, design faculty etc. Handled subjects like Theory of design, Building construction and Basic Design. Presently thesis coordinator and handling the subjects environmental planning, Urban planning history, theory and systems, Architectural Design for S5 Was a team member of NRUM consultancy group for Aryanad –Vellanad Cluster.